All areas of the organization operate in a safe manner. It is the policy of Paul’s Hauling Ltd. to conduct its affairs so as to ensure, to the extent that is reasonably possible, the safety of its employees, clients, contractors, and the public at large. 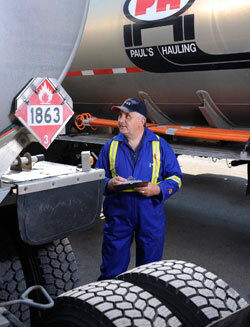 To that end, Paul’s Hauling Ltd. has made safety a top priority for all employees in every area of the organization. Our management team has the responsibility of ensuring that all areas of the organization operate in a safe manner, and that all of the company’s operations are conducted in accordance with government, industry, and internal safety policies.